Emory University, a top-ranked private institution recognized internationally for its outstanding liberal arts colleges, graduate and professional schools, and one of the world's leading health care systems, is located on a beautiful campus in Atlanta, Georgia's historic Druid Hills neighborhood. Whatever your interest in Emory, we would welcome your visit to campus. Emory maintains an uncommon balance for an institution of its standing: our scholars and experts generate more than $574 million in research funding annually while also maintaining a traditional emphasis on teaching. The University is enriched by collaboration among its schools, centers, and partners as well as by the legacy and energy of Atlanta. 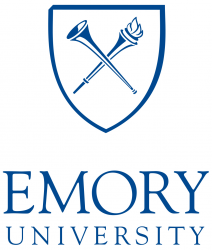 The 2016 Annual Report demonstrates the myriad ways in which "Emory Leads" with robust sections that include Confronting Global Challenges, Educating the Next Generation, Creating Knowledge, Advancing Caring and Healing, and Transforming Society.